So you’ve booked your flight. Now what? Whether you’re an adventure seeker, or a café-hoppin, tea-sippin kind of traveler, no one can predict an accident. It can be detrimental to your trip in many ways, especially if you are without insurance and end up paying out of pocket. Not only will insurance help pay for the accidental slip and save you some money, it will give you the confidence to travel exactly how you want to without holding back! Pin me first? Then keep reading! Life happens. Accidents happen. Get covered! If you’re taking a two-week trip or an around the world adventure, travel insurance is essential to add to your packing list (women/men). Don’t worry though, we’ve done the dirty work and sought out the best Travel Insurance. But wait, why even buy travel insurance? Have you, or someone you’ve known ever lost their luggage? Had their electronics stolen while traveling? Gotten ill and can’t get on a flight? Or maybe you get bitten by a shark while surfing or you break a leg while climbing the Himalayas. Peace of mind – you want some? Yeah, me too. 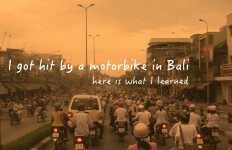 When I was hit by a motorbike in Bali, having insurance was about the only thing that kept me sane. The bills kept getting higher, and I needed answers to what was wrong with my foot. World Nomads covered everything! Multiple trips to the doctor, x-rays, medicine, etc. When Brandon tore a tendon in his hand in Vietnam, he needed immediate surgery to repair the tendon. If he didn’t have insurance, it would have cost him nearly $2,500 USD! In order to get the care you desperately need, you call an ambulance to take you to the nearest hospital. The ambulance and hospital bill add up to tens of thousands of dollars. The average Medevac in Europe is £25,000. You can’t possible pay your £25,000 medical bill. Now what? A single accident will MORE THAN cover the cost of your travel insurance and likely pay you back much much more. Like all insurance, you’re managing risk. We strongly feel the benefits of travel insurance exceed the cost. In 2 years of traveling, we have been reimbursed for over $4,000 USD which is much greater than my total cost of travel insurance. We’ve been on the road for 2+ years. We have both submitted claims and received FULL compensation for our medical bills. And hey, if you don’t trust us… credible travel sources such as Lonely Planet, Rough Guides, Intrepid Traveler, and USA Today all recommend World Nomads. Also, pretty much all of our friends who travel use World Nomads. 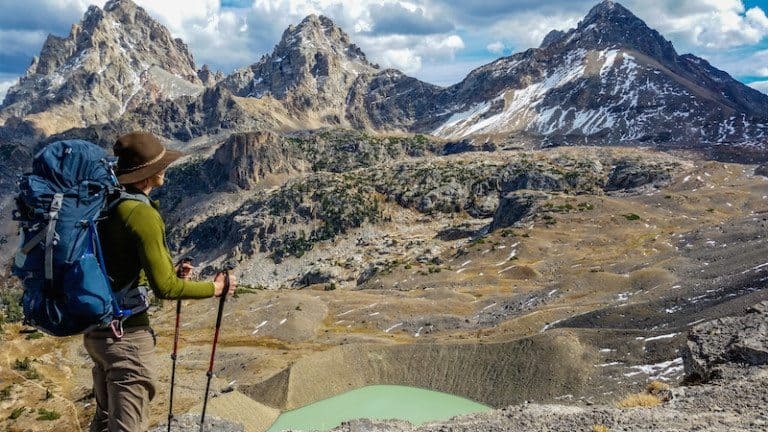 If you keep up with travel blogs, here are a few who also swear by World Nomads: Nomadic Matt, A Little Adrift, Goats on the Road, Expert Vagabond, Wondering Earl, Y Travel, Adventurous Kate, and the list goes on. *If you purchase travel insurance through us we get a small commission (at no extra cost to you, of course). This helps us to keep our site free for all our readers. We only recommend products we have used and like. World Nomads is created by backpackers for backpackers. Their standard coverage includes everything the average traveler will need. Here is a high level list of what is covered. If you want to read the details, go to World Nomads and check it out. Coverage when you need it most. Emergency medical transport is available to the nearest medical facility, most suitable medical facility (in another city or country) or even back home. Oh dear! Have you missed a flight? Or perhaps your flight is delayed causing other travel plans to be affected. World Nomads has you covered. World Nomads covers pretty much every activity you can think of. 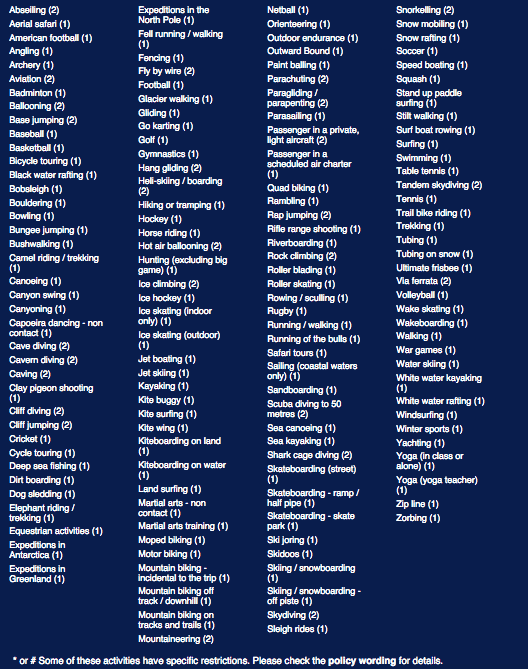 Here is a partial list of what is covered. If you need urgent medical treatment while traveling, you can rest easy with World Nomads. Just head to the hospital and get the treatment you need. World nomads will reimburse your medical bills and even front the bill if needed. Both Brandon and I have been reimbursed for medical bills during our travels. 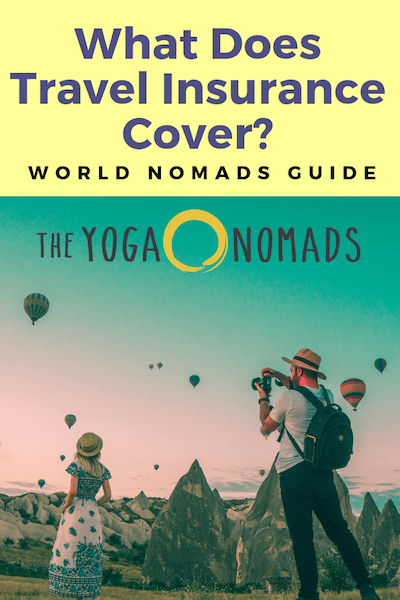 Does World Nomads travel insurance cover pre existing medical conditions? Yes, it does. But read the fine print or chat with a 24/7 customer service rep to understand your situation fully. Are you taking high value items on your trip such as camera gear? 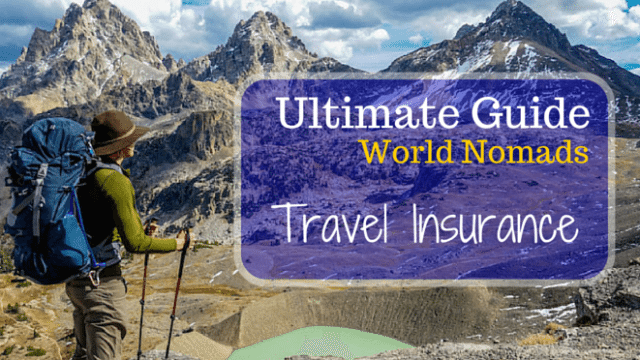 Travel insurance for electronics is covered by World Nomads up to specific dollar amounts. The amounts vary from $1,000-$3,000 for the standard plans. You can also increase the coverage for specific items if need be. Just make sure you have proof of purchase of your high value items to ensure you get reimbursed appropriately. Sometimes airlines lose your luggage. Sometimes you’re a victim of theft. Luckily, luggage and personal items are covered under your policy. Read the details to fully understand what you can claim and under what circumstances. When medically necessary, World Nomads will cover the cost of a medical evacuation by helicopter. This could save your life if you’re trekking in Nepal or another remote part of the world. Are you ready to continue with your adventures after an emergency visit home? World Nomads will cover the costs of your missed hotel bookings, flights, etc. Why do Anne and Brandon use World Nomads? 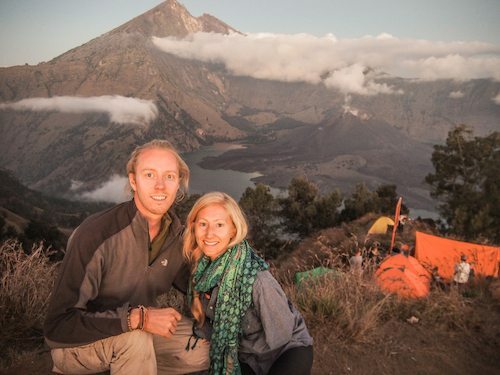 Climbing volcanos in Bali? Yep, covered. Dealing with insurance companies can be extremely stressful. We like knowing that if anything goes wrong while traveling, we’ll be covered by a great company. 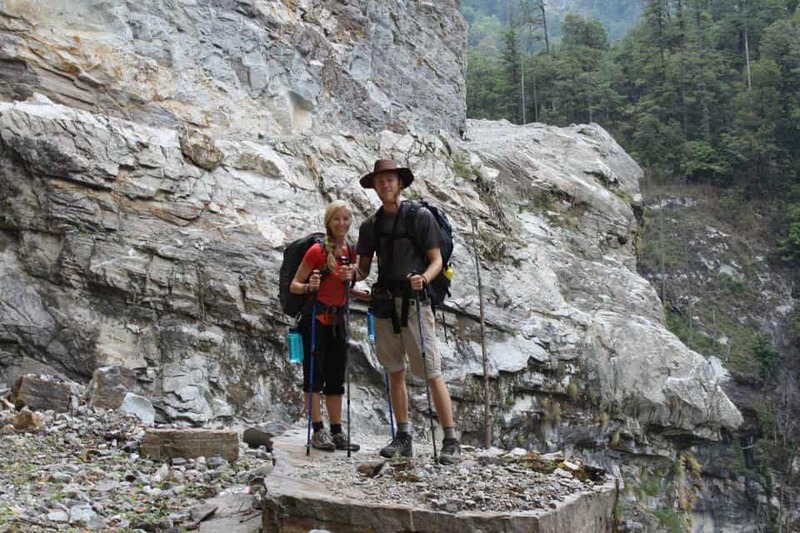 Because of World Nomads, we feel more safe trying borderline dangerous activities such as waterfall repelling, 15-day solo hikes through the Himalayas, etc. From their intuitive interface, to their friendly 24/7 customer service reps, World Nomads gets an A++ in this category. Making a claim is incredibly easy, and you can do so from your laptop. Claims are quickly and fairly processed. The plans are laid out in a clear manner, with no fine print or hidden fees. Need surgery and lost your luggage all in the same week? Ouch. Thankfully, these plans cover both! The fact that you can be covered from all angles so-to-speak gives you the confidence to travel exactly how you want to: fearlessly! 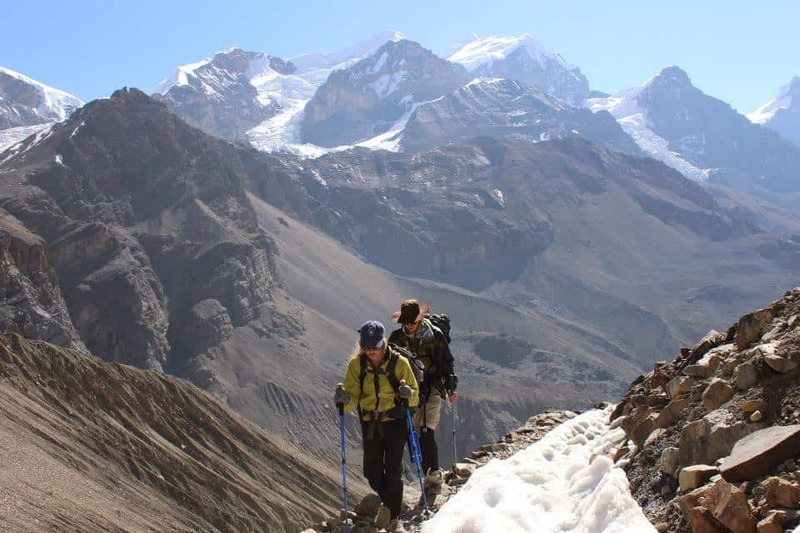 If you get hurt trekking the Annapurna Circuit & need a helicopter ride out, World Nomads covers it! World Nomads is the only travel insurance that you can extend coverage while on the road (instead of buying when stuck back in your home country). This is HUGE for us because we often don’t know exactly when we will come home. Takes 5 minutes and we can extend our coverage online. This flexibility has saved a ton of headache for us. Surfing, Yoga, Trekking, Rock Climbing, Cliff Jumping, Motor Biking, Snorkeling, Zip Lining, SUP yoga, etc. Full list of covered activities here. 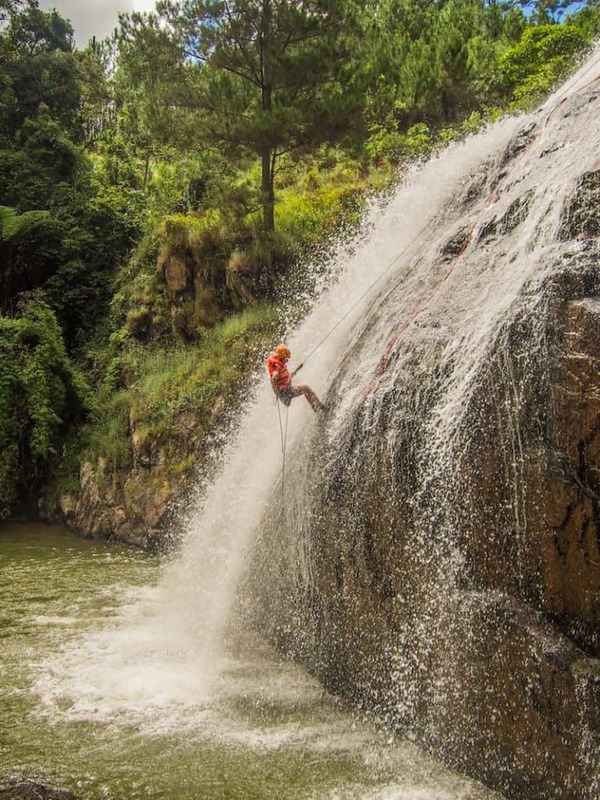 Most insurance plans won’t cover you for extreme sports like bungee jumping, canyon swinging, scuba diving and kite surfing, but World Nomads plans cover a whole range of wacky adventure activities, and they’re still cheaper than many of the plans that don’t! 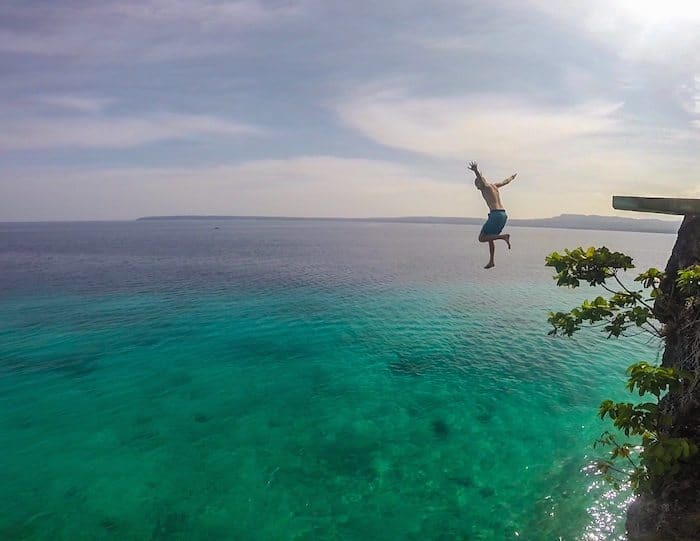 Cliff jumping in the Philippines? You guessed it, covered. No need to double up insurance costs and keep coverage in your home country. The rates we’ve found with World Nomads are not only competitive, but very reasonable for optimal coverage! We feel strongly that whatever happens on our trip will be covered! In the past 2 years of using World Nomads, both Anne and I got hurt on the road and needed to make a claim. Luckily, we could submit our claims online and continue traveling. World Nomads has a straight forward process and they processes our claim very fast. A few weeks after submitting our claim we had quite literally thousands of dollars deposited into our bank accounts. It’s really quite simple, here are the steps. I will explain them in more detail below. The price of travel insurance depends on your country of origin, countries you’ll be traveling to, and length of travels. The longer you’re traveling, the cheaper it will cost per day/month. Reminder: World Nomads travel insurance is active as long as you are at least 100 miles from your home (this includes your home country). Be sure to only purchase the amount of time you will be traveling. You can select from two tiers of coverage: “Standard” or “Explorer.” Most people can get away with the Standard coverage (that’s what we use). Hopefully your travels go smoothly. But if not, jump on WorldNomads.com and submit a claim. They will process the claim quickly and message you throughout the process. After submitting your claims, it will take a few weeks before getting reimbursed. Both Anne and I were surprised at how quickly it was completed. 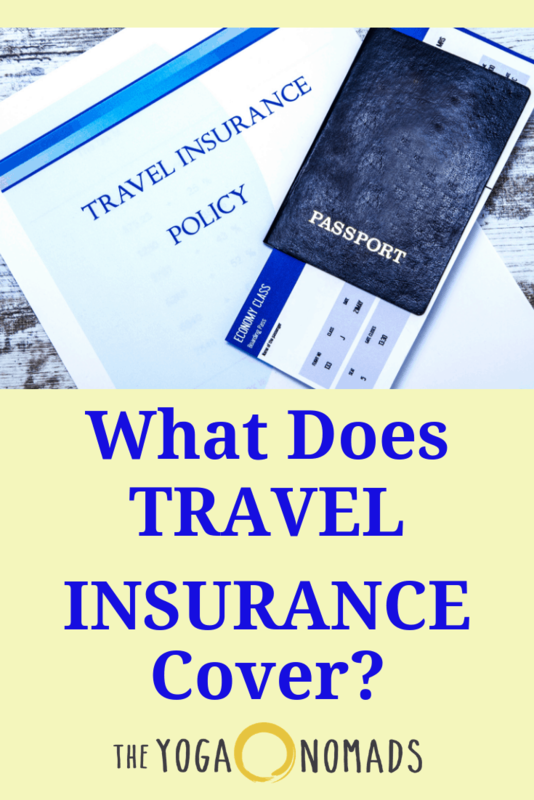 We never leave home without travel insurance! Thankfully World Nomads has our back. We receive a small commission if anyone buys through our links. Of course this doesn’t cost you any extra – but it does help us continue running this site and offering all our content for free! 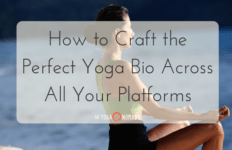 Anne is a passionate yogi who loves to be active outdoors. 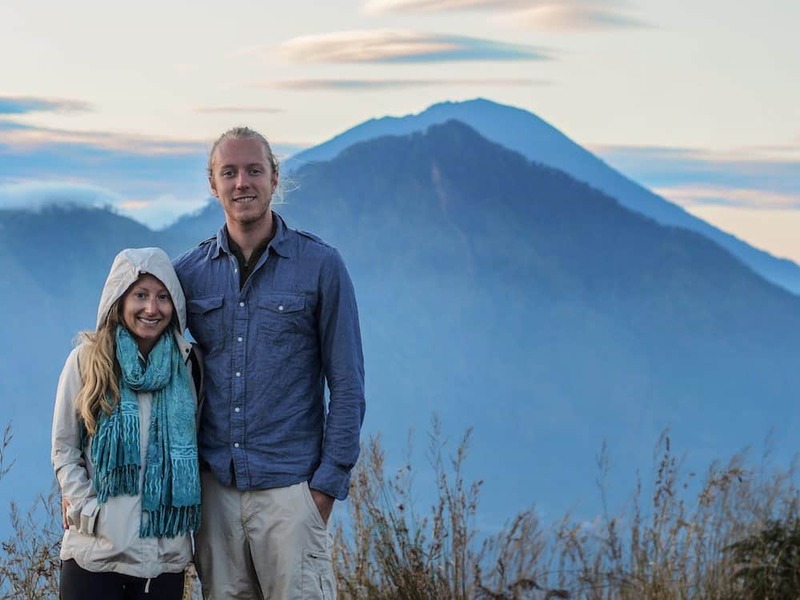 When she’s not traveling to destinations near the equator to practice yoga and eat tropical fruit, you can find her in the kitchen cooking up nourishing meals with her partner, Brandon. A music junkie at heart, she is currently spinning: Tor, Hiatus, Friend. and Giyo. How do you have your liabilty covered (worldwide) ? For instance if you push a bit too hard when you do an adjustment and the student gets problems? Thank you for commenting, Rene! I believe the type of insurance you are referring to is a bit different than what World Nomads offers… Be sure to check the fine print on their website. Thank you! Have you insuranced this? No unfortunately we have not! I am sorry I am unfamiliar with the Australian Yoga insurance!